I think you will be buying stock material and adding it yourself. A bit of a shame if you weld it on, better for long term value of the vehicle would be to use existing bolt holes with longer bolts to mount it with. It is your vehicle to do with what you wish, our veterans fought for your freedom to do that and you paid the quid for the wagon yourself. Will it make the vehicle "modified" and render you foul of your insurance company, we hear many of you Brits having insurance woes, just wondering. Looks like a fantasy job. Ram barricade FV828611 was fitted to most Mk2 & a few Mk1 Pigs, very few were fitted to Saracens it was the same ram. The thing in the picture doesn't look the same & a reverse flow air cooling Saracen seems a strange choice to fit such an embellishment. Note that this is for pushing barricades not crowds the name is widely but wrongly used & originates from an earlier equipment that was designed for that purpose. That actual Saracen in the photo belongs to a guy in Sydney, Australia and I believe it is an ex-Hong Kong one, the barricade ram appears to differ slightly from those used in NI. As Clive has just posted. Thanks Clive, Richard. I’m sure this will just stay on my interesting to have wish list. I’ve always thought that the reverse flow Saracen is extremely vulnerable with regard damage to its cowl. The slightest collision could well crumple it and compromise cooling. I thought the RFC shroud was made of hard rubber mat so would not be as vulnerable as you think.....I may be wrong though. 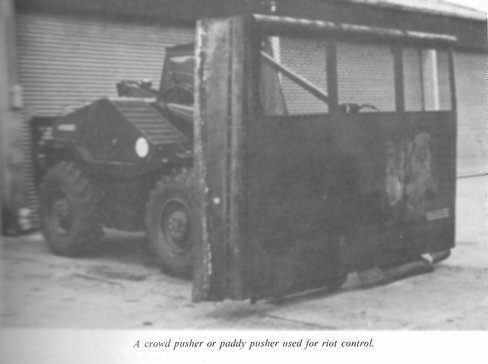 While I am sure that a standardised Ram barricade item was eventually produced and fitted, I am equally sure that I have seen (in Northern Ireland during the troubles) different types of Ram barricadeson Pigs. Round bars, Square bars, etc. How about this one, though most of our pigs had the standard one (but several different patterns of mesh windscreen protectors). 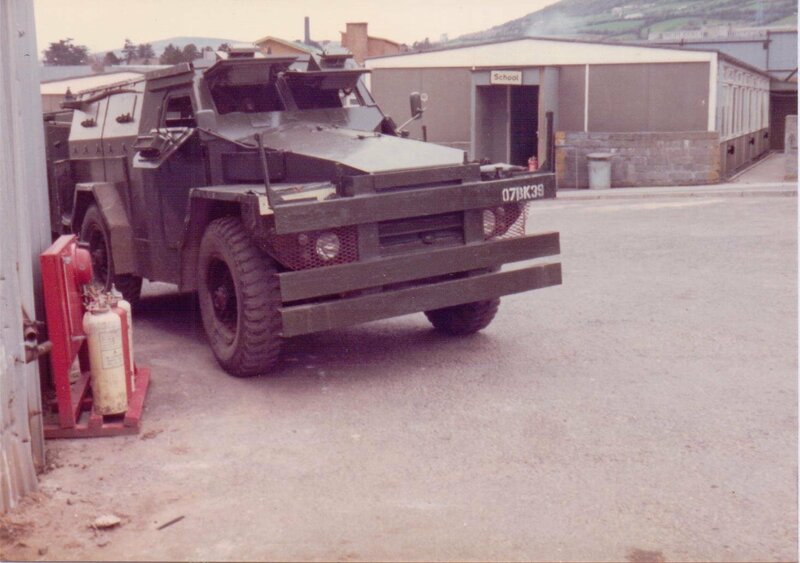 Chris yes that was an early ram applied to many Mk 1 Pigs inspired by, although not so sophisticated as, the bar rams used by the RUC. They retained the flat rams in their Mk 2 role, but early on one can see Mk 1 Pigs side by side having either type of ram. 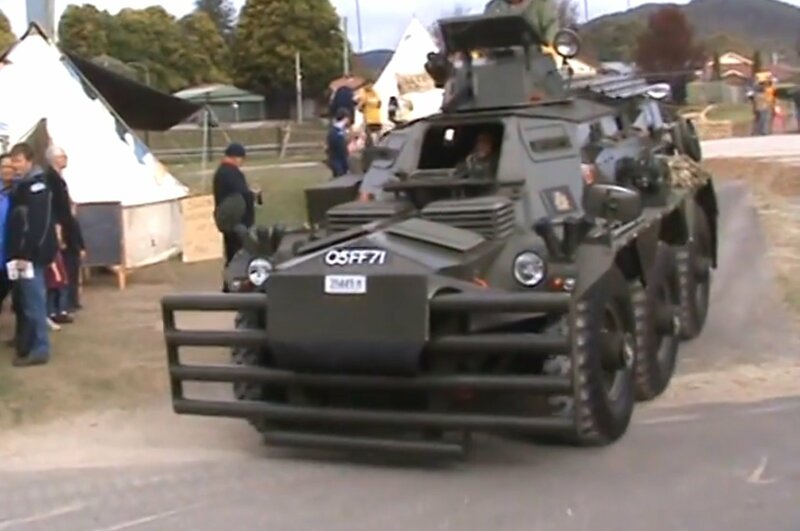 At least two flat ram Mk 1 Pigs can be seen in Bloody Sunday footage. 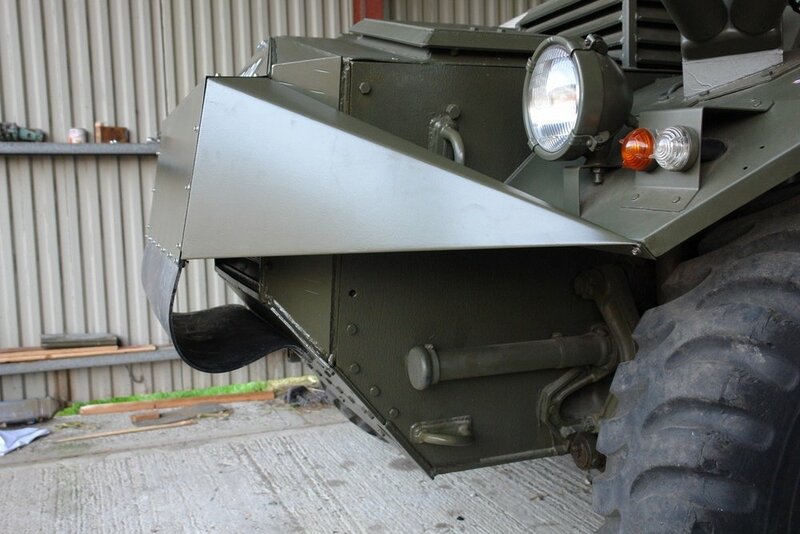 The standard tubular ram was also adapted to fit Thornycroft water cannon. 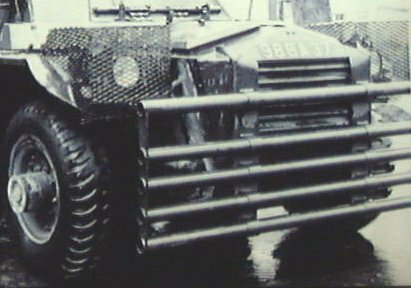 The problem with the flat & tubular Army rams was that they were often not low enough to deflect debris on the ground, so that many of the tubular rams had to have hinged drop down pieces to go reach further down. 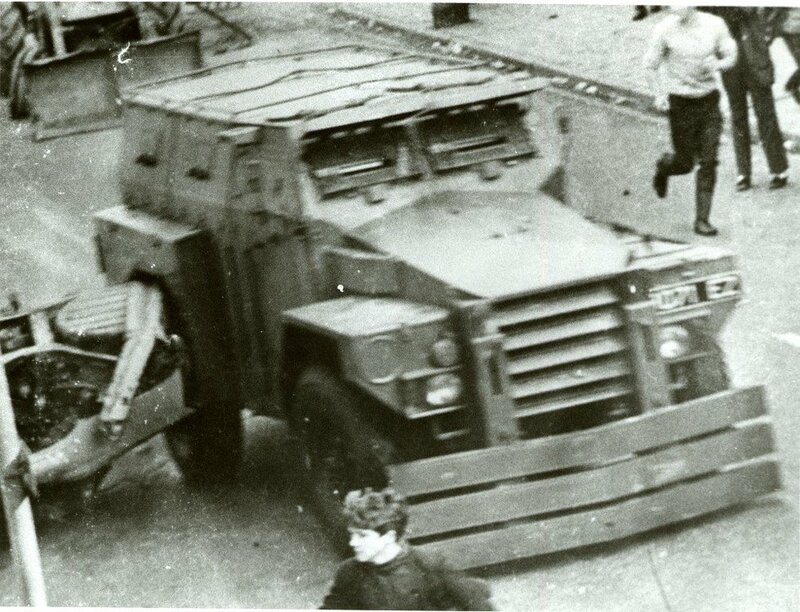 The RUC had already realised the need for a deep ram, they had developed an adjustable ram that was slightly snow plough shaped. Such a ram can be seen on 3071 EZ which incidentally was the only FV1611 they had, the other 9 Pigs were FV1609 with locally built armoured roofs. 3071 EZ became 27 BT 91 in Army service where it retained the original ram for while.